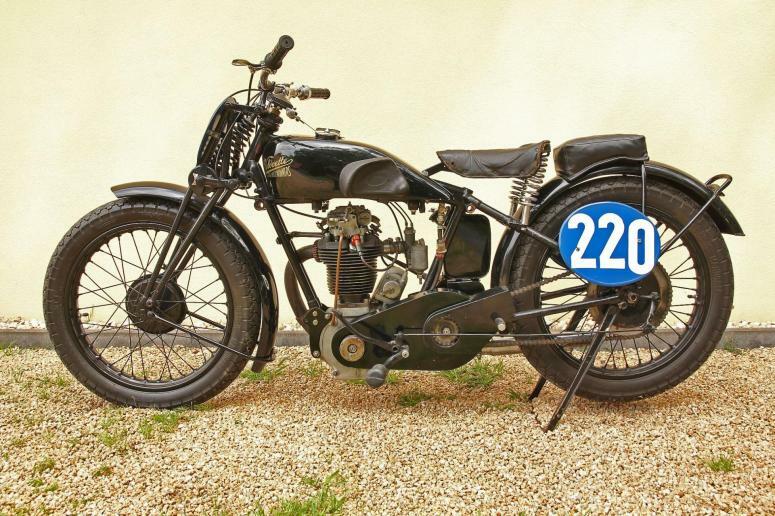 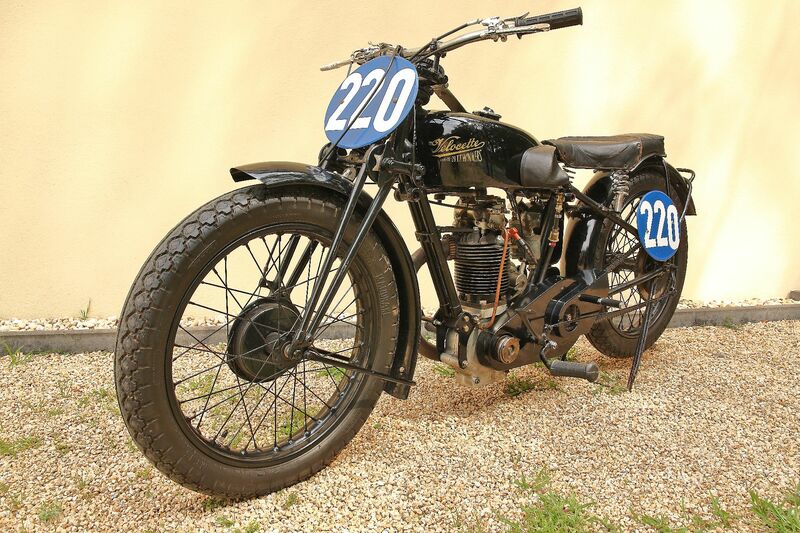 Early 1927 Velocette Model K racer, the first OHC Bike. 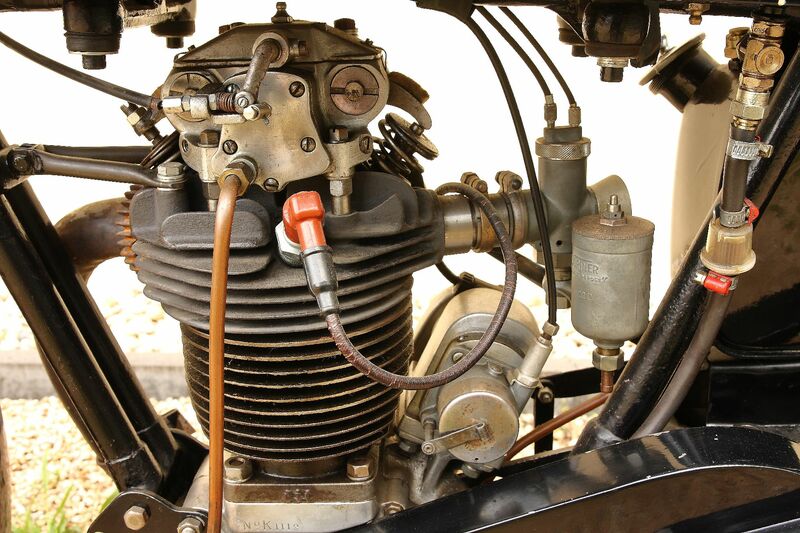 some years ago. 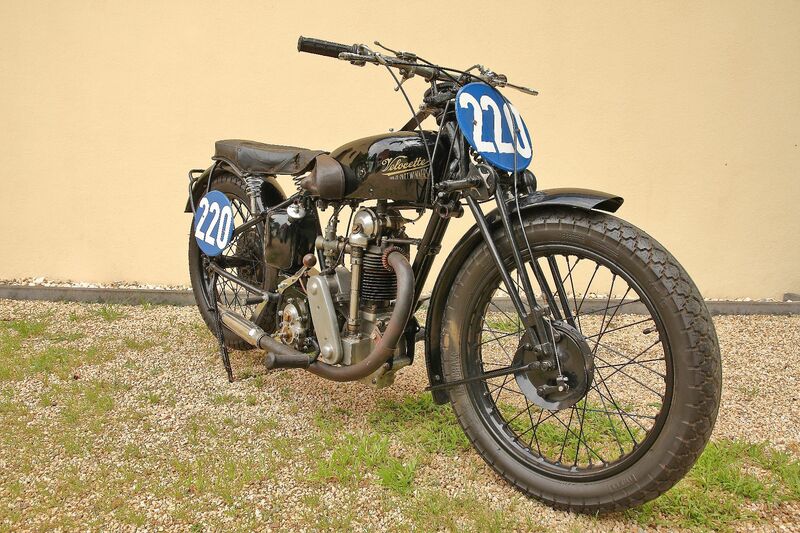 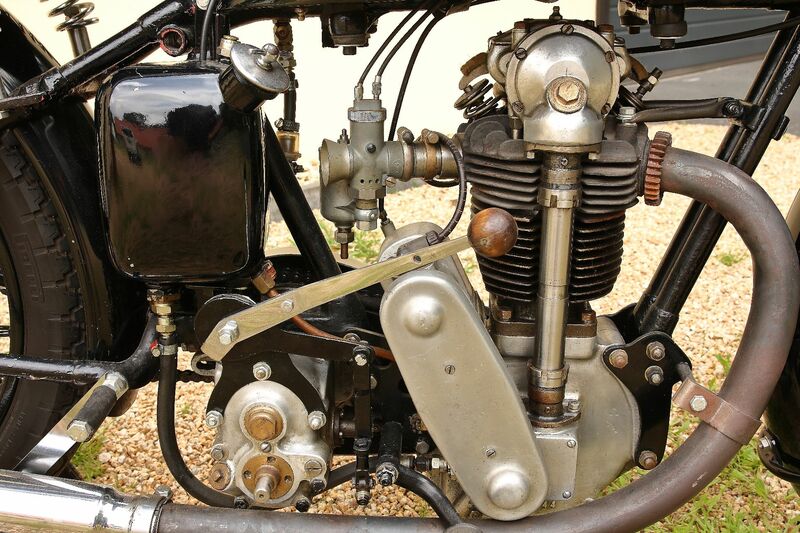 The lovely cammy engine is one of the "trademarks"
of these bikes. 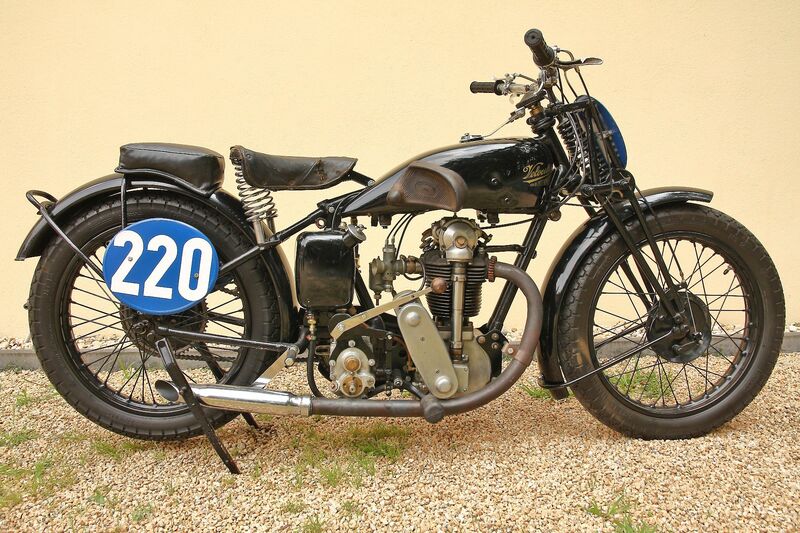 Just a few of these early Model K's come up for sale.